New Year’s Eve 2018: Where celebrate New Year’s Eve in Istanbul? 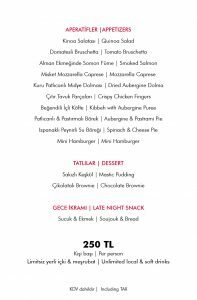 Celebrate New Year’s Eve in Istanbul with Kasa Lounge! Spend New Year’s Eve with us here at The House Hotel Karakoy. Book today! If you are lucky enough to spend the New Year’s Eve in Istanbul, it is one of the best places to be, hosting a wide range of celebrations for everyone in the city, whether you are a visitor or local. If you have not made your New Year’s Eve plans yet, come and join us at Kasa Roof Lounge.